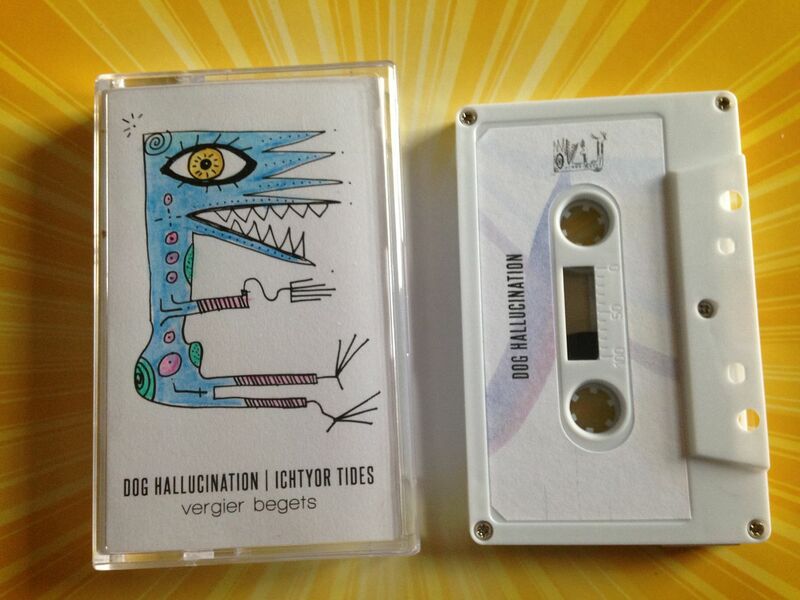 I feel like Dog Hallucination is one of those artists who I've seen the name of before but never actually listened to for whatever reason. 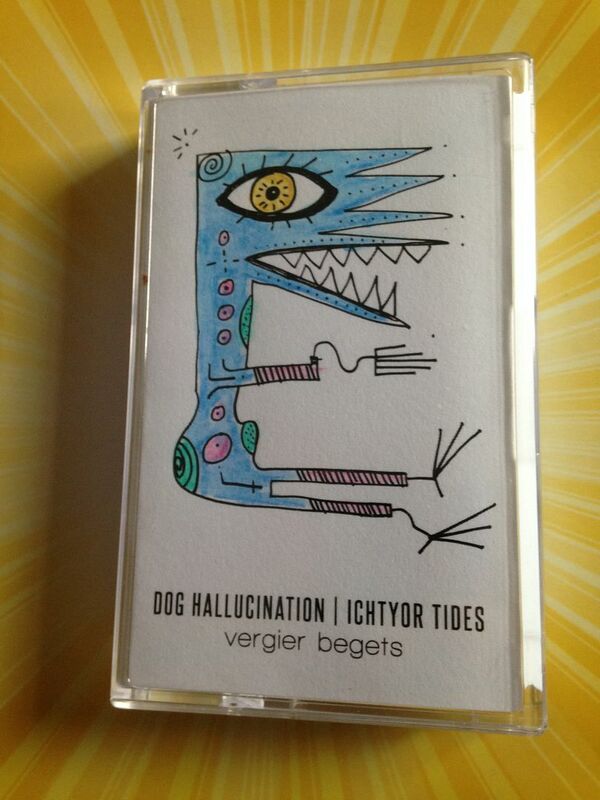 I don't know why it seems so familiar because I can't quite pin it to any specific artist or label like "Oh yeah, there was another cassette released on..." or "There was a split with..." and so I can guess it's just one of those names that kind of sticks with you even if you've only seen it once. 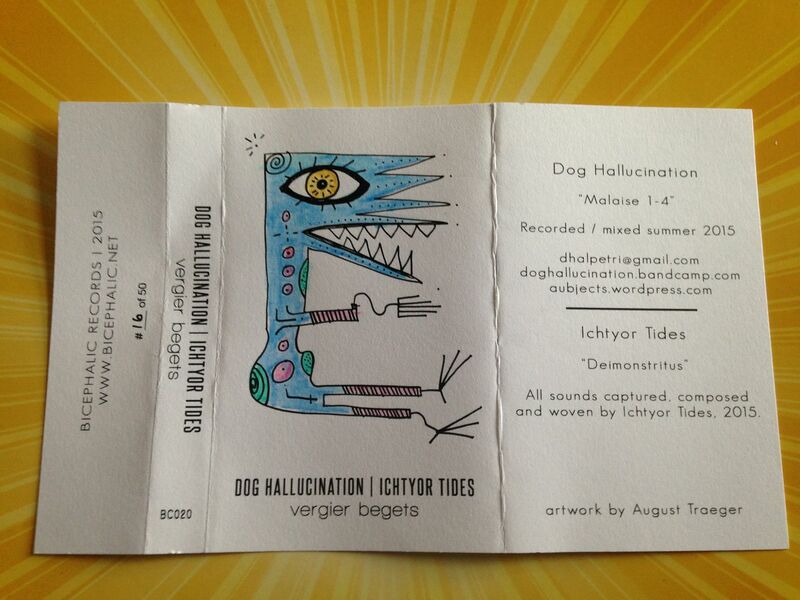 On the other hand, we have Ichtyor Tides on the flip side and so that makes it pretty safe for me to say that I don't know either of these artists in this new split from Bicephalic Records. 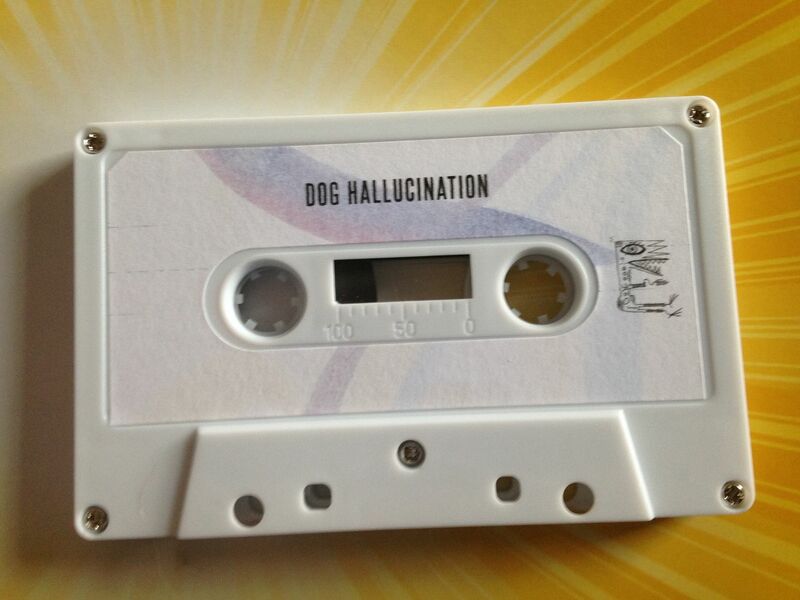 Dog Hallucination begins things with an upbeat tempo which almost sounds like a fiddle in some way. There is this squealing like a tape rewinding and then Oriental tones are mixed in as well. What comes through next can only be described as harsh sword slices because there are these bursts of sound which sound as if it is the blade of a sword cutting through the silence. With chains dragging, the combined mood begins to make me think of Ghost Rider swinging around his giant chain on fire but I know that isn't really a musical weapon. 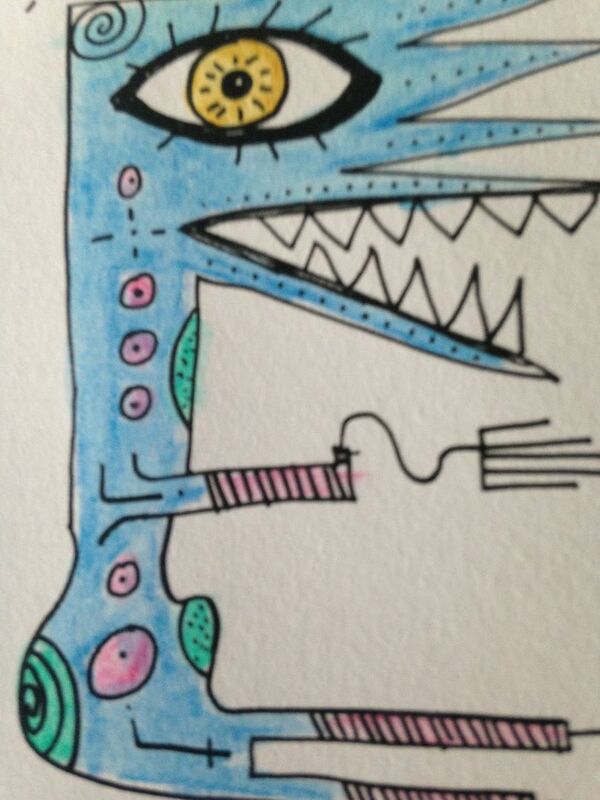 The tone then shifts to something closer to Transformers before taking on the form of electronic wind chimes. There is a boiler room type of vibe happening only it isn't quite as dark as what I tend to think of as being boiler room. The sound becomes scrambled and as much as I like to think of songs as being driving or music just feeling like it's moving on some level in a physical sense, this just makes me think of flying. It ends where it began- with some kind of strings, only this time I think that they might be a banjo. 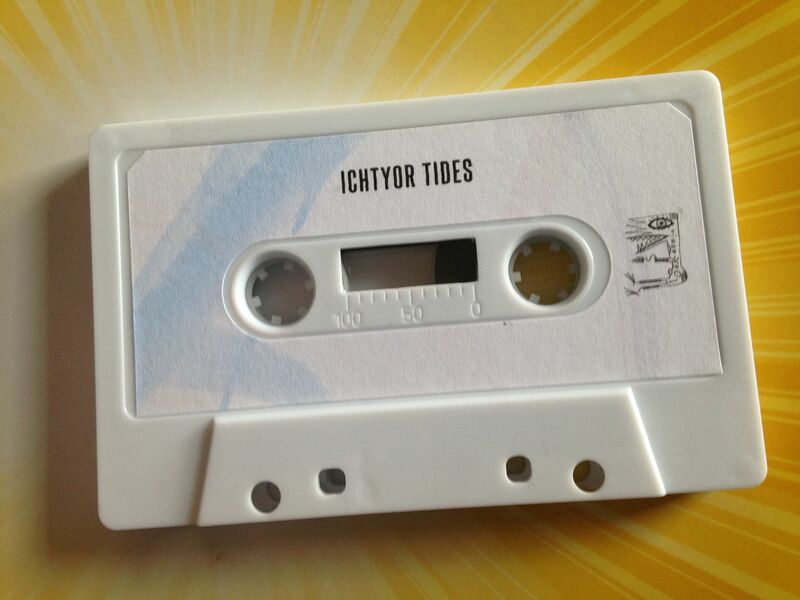 Ichtyor Tides has a sound right off which reminds me of Lost Trail- with those sorts of sharp guitars I keep hearing everywhere but the familiarity kind of seems to open me up and invite me in as if a friend is saying "This is what you know, this is what you listen to, you are safe". Only appropriately, this takes me into a form of talking which also makes me think there might be crying going on as well. Through hollow breathing comes a space feel. Light laser shots are fired and it kind of feels like it was done off in the distance. Clanks come out now and the best way I keep thinking of this is as being some sort of electronic zoo full of electronic animals making their electronic animal sounds. 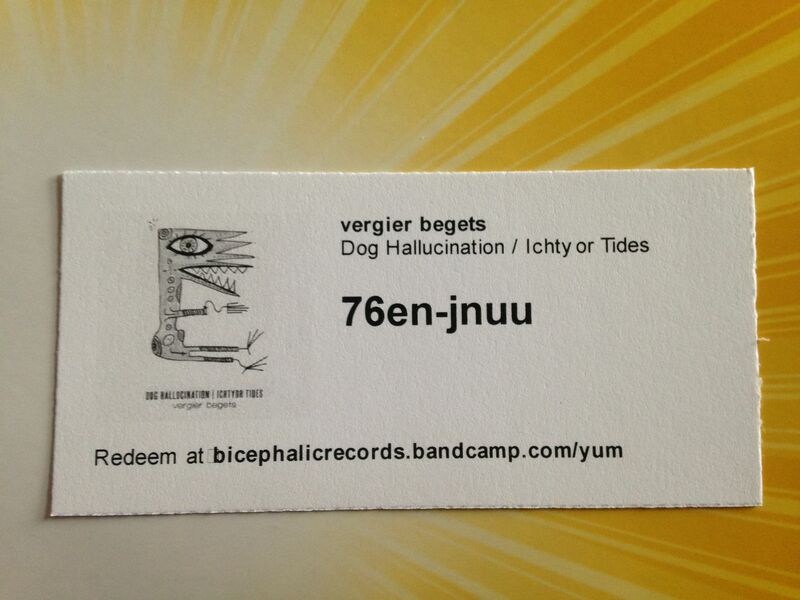 Overall though it is ambient and chill. As it approaches the end it becomes celestial blissed out. It's just a nice sort of piece of music to listen to while floating around in a pool or just simply soaking in your bathtub.